WRD Architects transformed a former Fort Ord U.S. Army helicopter repair hanger into a 30,000-square-foot headquarters with associated industrial production and warehouse areas for Light & Motion, an outdoor recreation lighting design and manufacturing company. 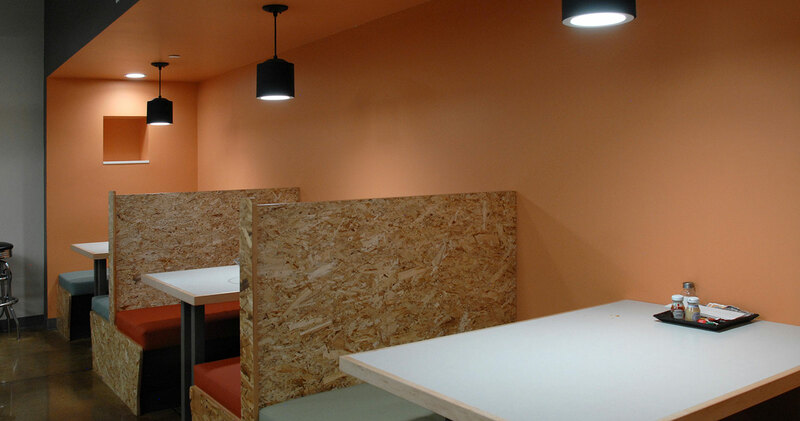 The high-bay front office incorporates natural daylighting mixed with LED light fixtures, indoor bicycle parking, reclaimed wood accent walls, and refinished existing concrete floors in accordance with the company’s focus on sustainability and creative reuse. The building’s exterior was also retrofitted with a two-story glass curtain wall system inspired by early factory buildings. Inside, natural outdoor elements are highlighted within a flexible interior design. 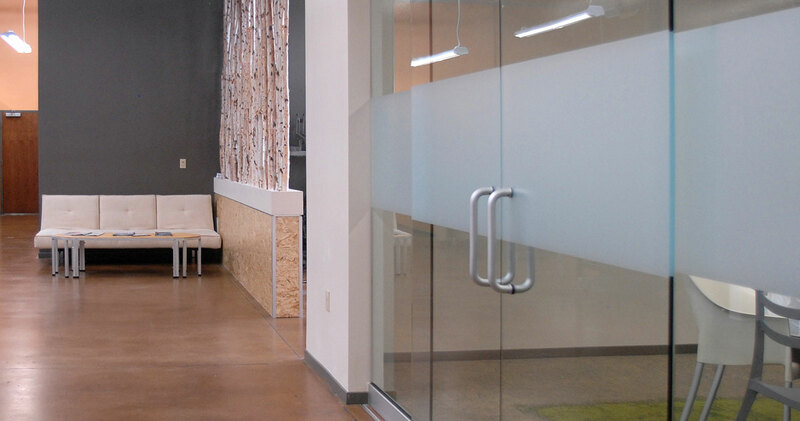 A row of birch “trees” screens the front entry lobby from the open office space. 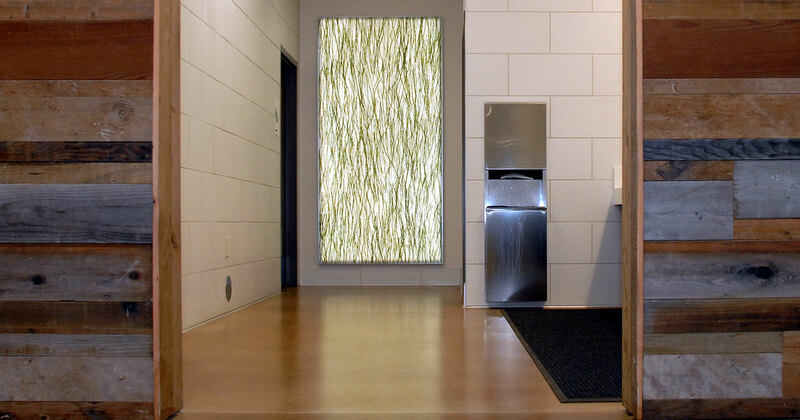 The shared lavatories near the restrooms feature a backlit resin panel with a custom image of green grasses, which functions as both a piece of art and a source of general lighting. 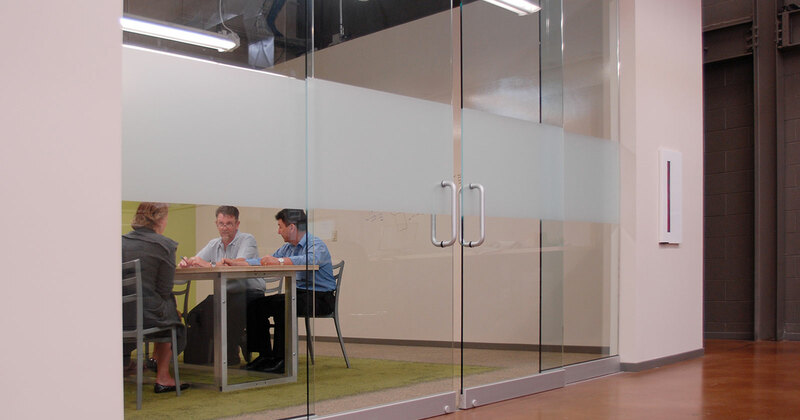 The main conference room is a thoroughly modern meeting space that features an open ceiling and vibrant natural colors.